When it comes to refreshing summer vape liquids Bluebird E-Liquid has marched forth and delivered to us its latest entry Redbird. 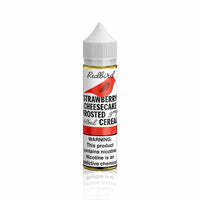 Redbird consists of a strawberry cheesecake that sits atop a fruity cereal base. Redbird E-Liquid - Bluebird has a rating of 4.6 stars based on 29 reviews.